I’ve been on a popcorn kick lately. My latest discover are the Redenbacher mini bags of salt and pepper popcorn. They’re really salty and addictive. Plus, since it’s a mini bag it’s the perfect size! This entry was posted on April 12, 2012 by debbe. It was filed under Food and was tagged with 03.24, 365, 83/365, Food, pepper, popcorn, salt and pepper, snack, white. 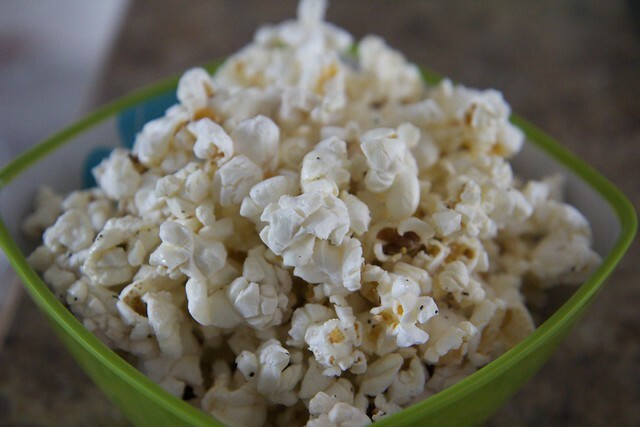 I love Popcorn, I make it at home with some olive oil and then add salt and cayenne pepper at the end, the spice gives it an irresistable flavor that keeps you coming back for more. That sounds really delicious! I have a bunch of recipes for popcorn that I need to try. Have you ever had it with chili powder, valentina hot sauce and a little bit of lime? I’ve heard it’s delicious! I’ve had it with the cayenne pepper, peppercorn and fresh squeezed lime and that is also fantastic. That’s great to know! Thanks!